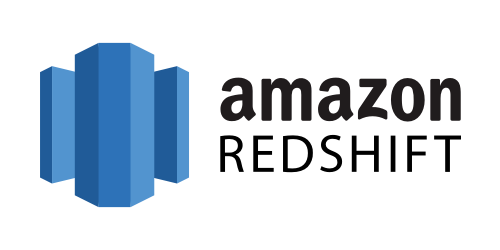 Sisense offers a native data connector to Amazon Redshift, a fast and powerful, fully managed, petabyte-scale data warehouse service in the cloud. Store data in Redshift database and query this data in Sisense to optimize performance, improve cost control and deliver greater ease of use. As well, Sisense provides the ability to prepare, govern, analyze and mashup data from multiple sources. The powerful In-Chip® engine unifies decentralized data and balances workloads. Use Sisense to optimize your investment in the cloud and build faster, more flexible analytical apps with reduced management overhead and cost. In addition to Redshift, Sisense has data connectors to Kinesis Data Firehose, SageMaker, EMR, Glue, DynamoDB, Athena, and many more out of the box. With Sisense, the benefits of Amazon Web Services empower more builders and analysts at every step of the BI workflow. If currently running on AWS, Redshift should be your first choice. Redshift integrates with a variety of AWS services such as Kinesis Data Firehose, SageMaker, EMR, Glue, DynamoDB, Athena, Database Migration Service (DMS), Schema Conversion Tools (SCT), CloudWatch, etc. The Sisense live connection uses Amazon Redshift to power queries and dashboards in real time. Connect and create relationships to quickly prepare complex live data models for any purpose. Run live analysis on any dataset to make well-supported decisions on the spot. Beyond live analysis, Sisense delivers easy-to-use analytics that seamlessly blends live data from Redshift and other data sources to make more informed decisions. Sisense’s high-performance In-Chip® engine and Elastic Data Hub analyze other data alongside real-time queries from Redshift. Whether you want to a connect a multi-cloud environment, combine data that’s not yet in Redshift, or keep pace with rapidly changing requirements, Sisense provides a hybrid solution to manage, prepare, combine, and analyze distributed data. Perennial growth in data often leaves data sources outside of Redshift. Sisense eradicates these data silos by providing a single data analytics software for all data models and sources. Teams and departments can easily create multiple high-performance data models in the Sisene Elastic Data Hub that can be analyzed alongside live data from Redshift. This increases the adoption of Redshift and also brings all data into a unified governed platform reducing management overhead. Sisense enables you to connect and analyze data before and during your migration to Redshift. Native data models can be used to enable analysis and after migration; taking seconds to redirect any analysis to query live data in Redshift. This provides business continuity and enables you to get value from data instantly without waiting for a lengthy migration process. Remove Bottlenecks for Ultimate Service Flexibility Sisense ease of use matched with Redshift allows anybody to model and analyze complex data. Business users don’t need to seek technical assistance every time they want to query live data connections. Offer the right service model based on user needs and skills to provide analytics on demand. Shift data exploration and analysis to Elastic Data Models to optimize performance and lower TCO. Sisense’s In-Chip® engine gives you a time-saving, cost-efficient way to cache existing data. Instead of refreshing the whole database every time you add something new, query cached data for historical insights and connect live to Redshift for more timely questions. Focus on what matters and Sisense managed Cloud. With Sisense Managed Cloud, you don’t need to worry about hardware or IT. Get Sisense fully-managed, secure, and scalable cloud service. To start using the Redshift Connector, simply follow the instructions here.